Alright, here is some art for the artistic and non-artistic alike. Now, I was a student who elected to take art classes (Art 2, Art 3, AP Art – you name it), but in my mandatory high school “Art 1” class, we used to have “blind contour days.” Blind contours are fun and simple; so, with my love of watercolor in one hand and my love of poppies in the other – I am going to tell you how to make an easy, springtime work-of-art. 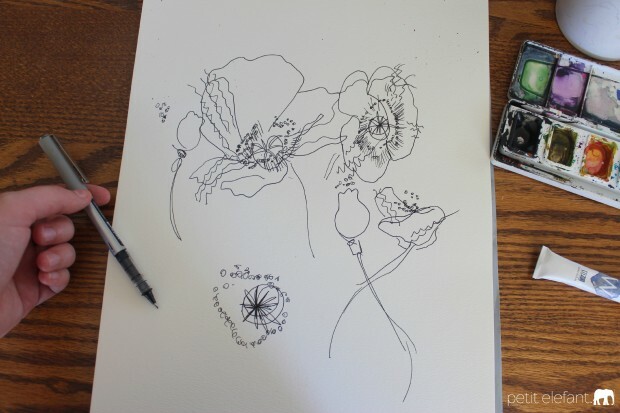 Search online a bit for an outline or sketch of your favorite flowers. I chose poppies this time because their shape and structure is fun to draw. Sunflowers are also a great choice. Pick a flower with moxie. 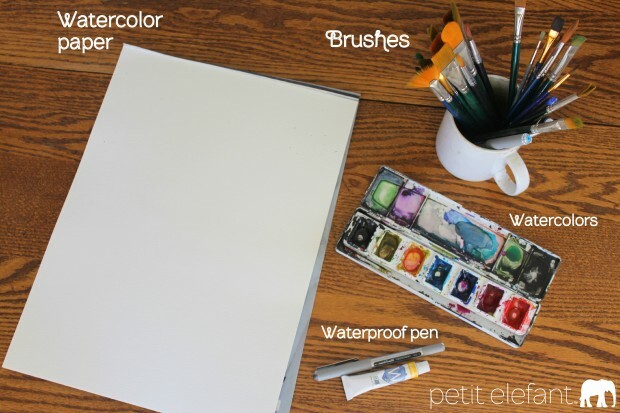 Print out that picture and set it near your sketchpad, now keep your eyes on that printout. Blind contour is about is about believing, not seeing. 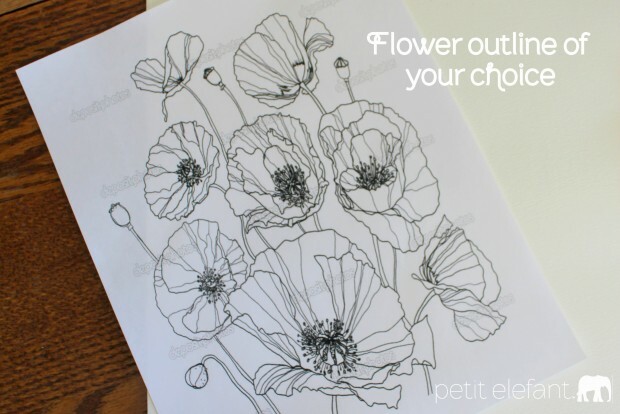 Keep your eyes on that printout and start to draw your flowers – pay close attention to lines. For completely “blind” pieces, do not peek at the paper, but for a slightly more controlled look, check the paper whenever you have to lift your pen. 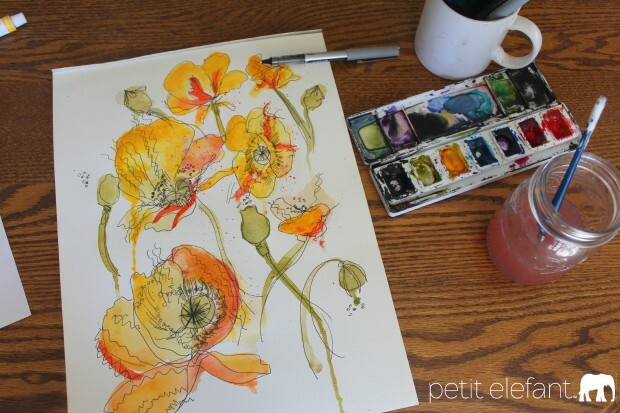 When you are satisfied with the flowers you’ve penned, let the ink dry and pick a watercolor you like. I picked red and yellow for my California poppies. 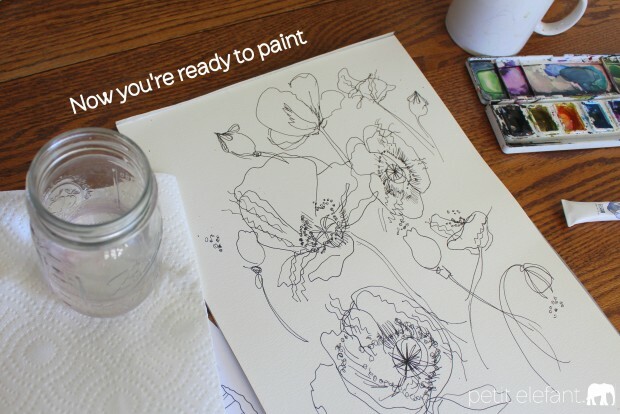 Begin painting – this time, you should keep your eyes on your artwork. Fill in the petals and stems, and apply black details last. If you want a watery look, then you can add on different colors while the piece is still wet, but if you want the colors to stay the way they are, make sure they dry. (You can use a hair-dryer to speed this process up). 5. Last, I like to flick some paint dots onto the centers of my flower to mimic the chaotic look of pollen. Just remember to take your time, and love the way there as much as the destination. Love this tutorial! I haven’t painted in a while, and this looks like a fun way to get back to it. 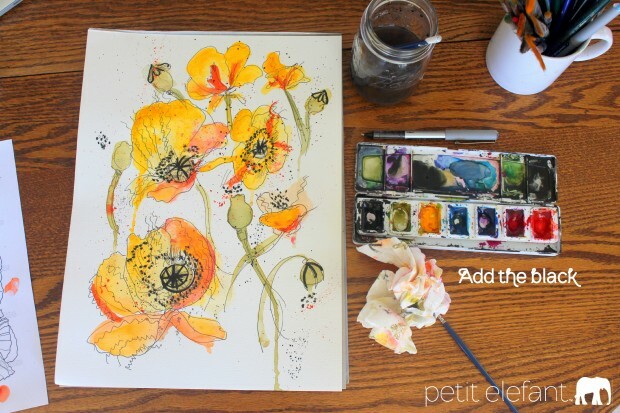 I’ve been waiting for a nice painting tutorial to pop up and this is the one! 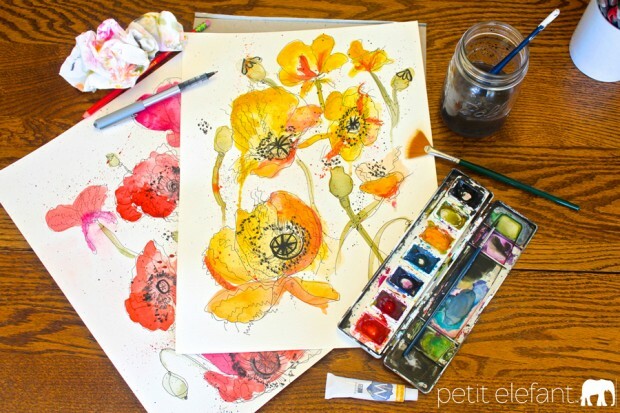 These are beautiful; I love watercolor art.